http://beyondorganicresearch.com/wp-content/uploads/2017/06/bor-logo.jpg 0 0 Dr. Jana Bogs http://beyondorganicresearch.com/wp-content/uploads/2017/06/bor-logo.jpg Dr. Jana Bogs2019-03-10 18:53:552019-03-10 18:53:55Join us this Tuesday for Food and Fun! 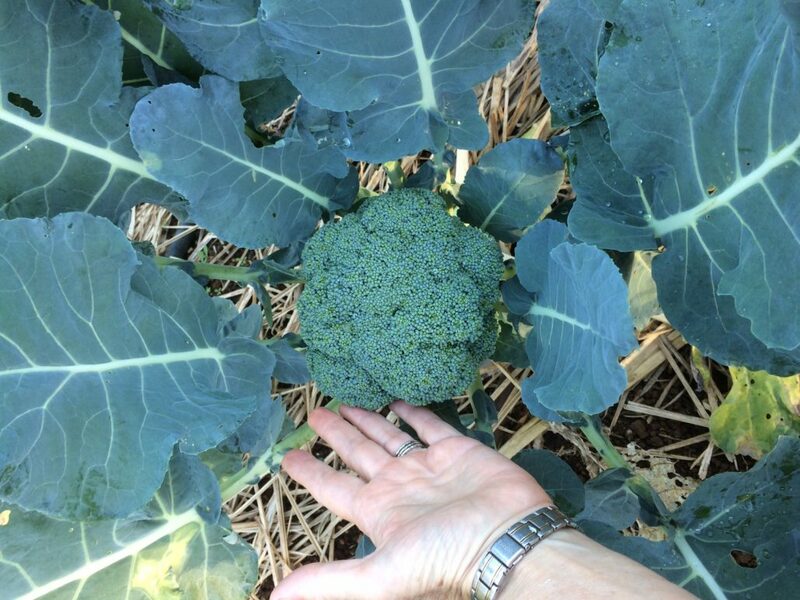 (Above) Broccoli grown with Beyond Organic Growing System™ (BOGS™) with hands in photo for size comparison. Susan made every effort to have a good comparison trial, such as planting the seeds from the same seed packet, at the same time, watering the same, etc. 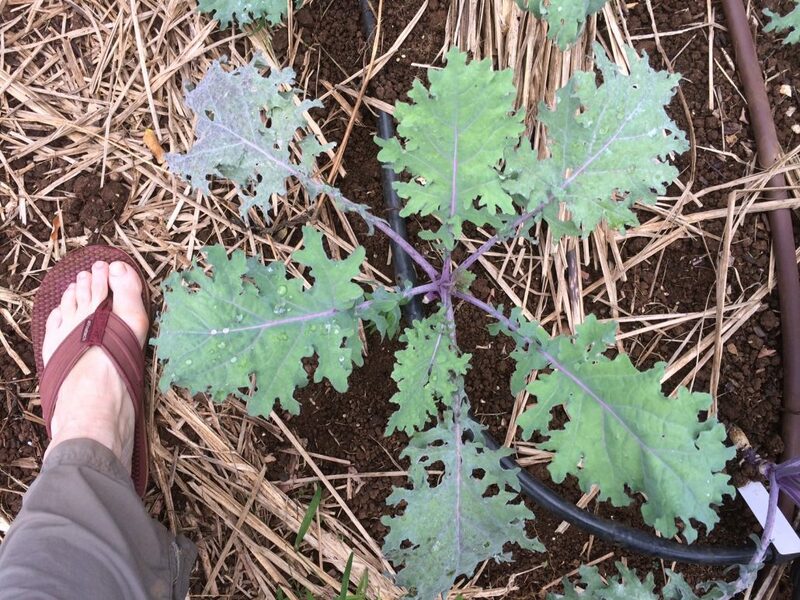 The difference was the fertilization according to a Nutrition Grown™ soil analysis, which is part of the Beyond Organic Growing System™ (BOGS™). Great work, Susan! 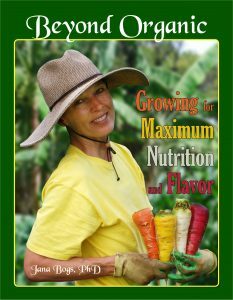 Join with us in growing the best food ever by enrolling in the Perfect Soil™ Course. Click here for more info. 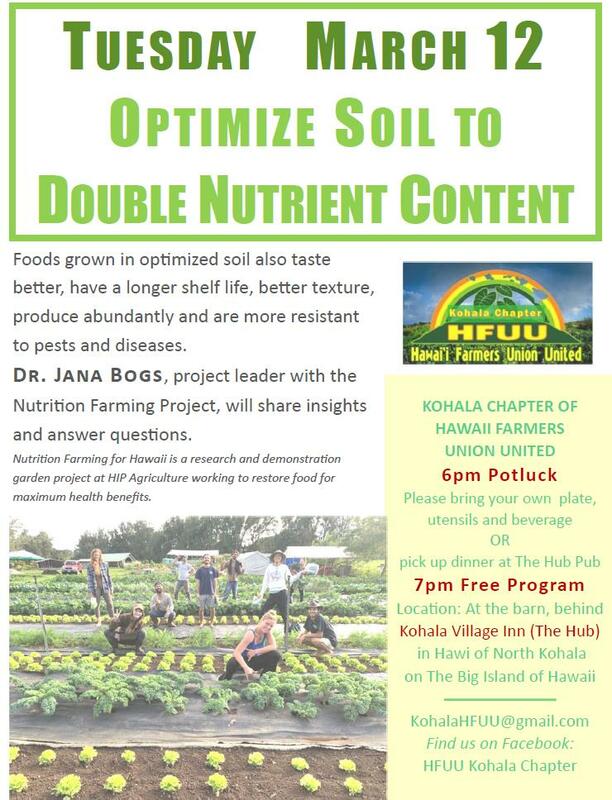 The course consists of a video series you can watch on your own schedule, a comprehensive Nutrition Grown™ soil analysis, one-on-one support, group calls, and more. The Nutrition Grown™ soil analysis is much more comprehensive than typical soil tests, including pH, Total Cation Exchange Capacity, Organic Matter %, Base Saturation Percentages including Exchangeable Hydrogen, Sulfur, Phosphorus, Calcium, Magnesium, Potassium, Sodium, Boron, Iron, Manganese, Copper, Zinc, Aluminum, and Estimated Nitrogen Release, plus rarely tested, but very important, elements Cobalt, Molybdenum, Selenium, and Silicon, along with electrical conductivity (EC) . Exact calculations are made, along with balancing ratios between various elements. Don’t worry if you don’t understand all of these items. The recommendations will be made clear and easy to implement. 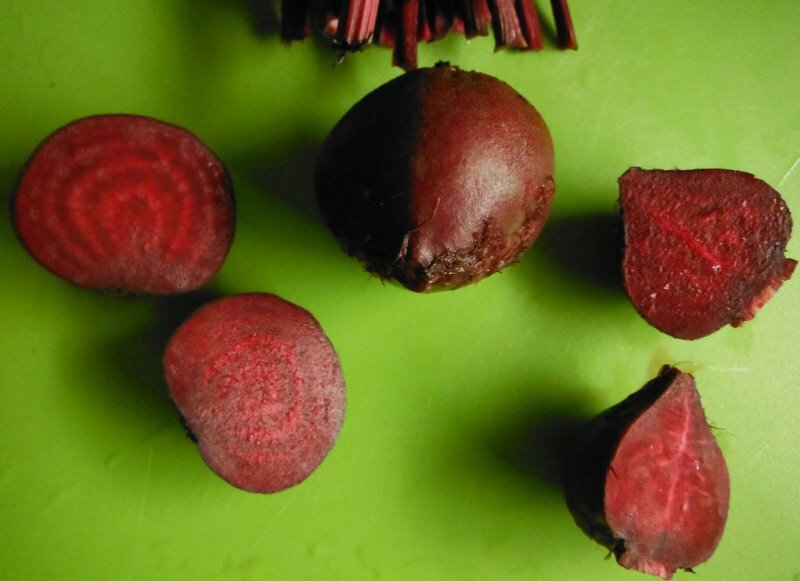 The recommendations are also made in keeping with the USDA’s organic certification guidelines. 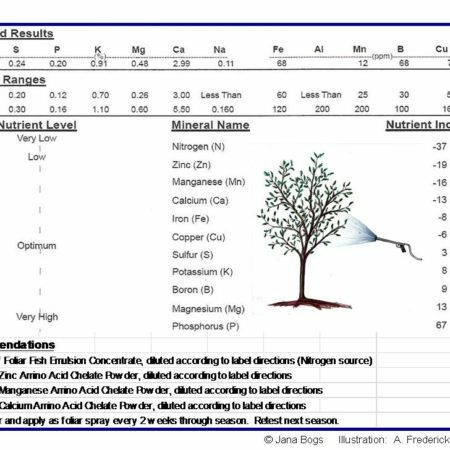 The Nutrition Grown™ soil analysis with discussion can also be ordered separately from the course by clicking here. 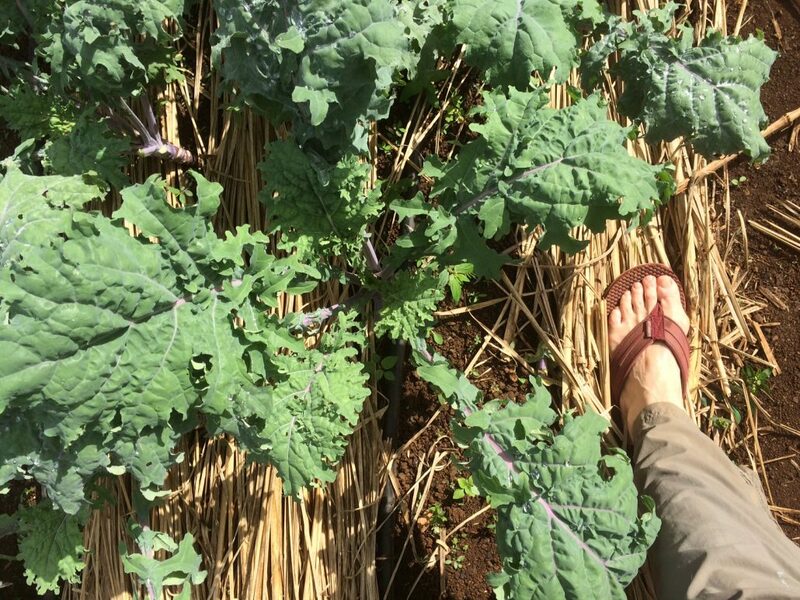 One of my students in the Perfect Soil Certificate Course, Susan, recently shared her results of a side-by-side comparison trial of the Beyond Organic Growing System(TM). The control bed was fertilized/amended as she had done typically in the past with organic-type amendments. 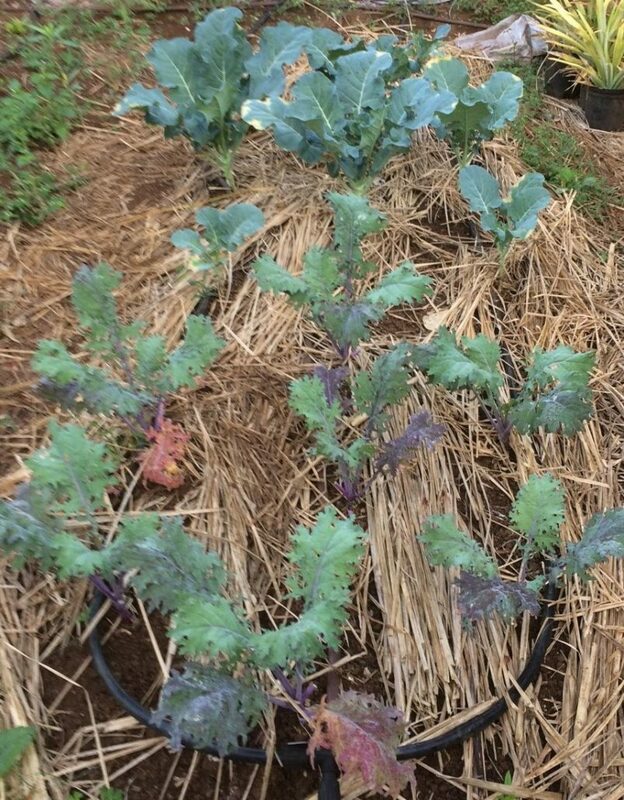 The beds were planted on consecutive days with kale and broccoli starts from the same seed packs. 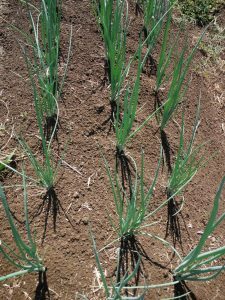 Every attempt was made to be as consistent as possible in every way except the fertilization method–same sizes of beds, same number of plants, same spacing, same irrigation, same mulch, etc. 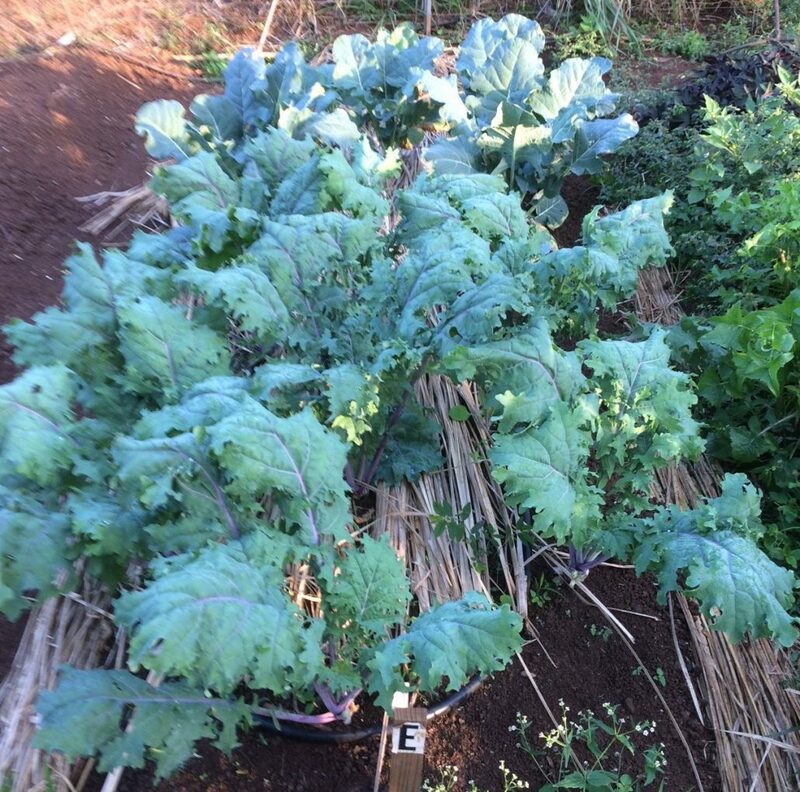 Control Bed–typical organic bed of Russian Kale and Broccoli (in background). Thanks so much, Susan, for sharing your work! 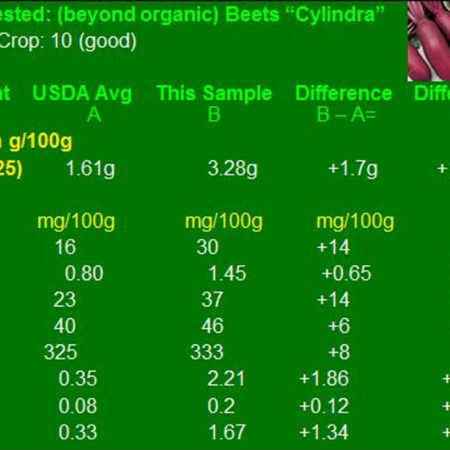 Learn more about the soil analysis used for the Beyond Organic bed fertilization on my website by clicking here. 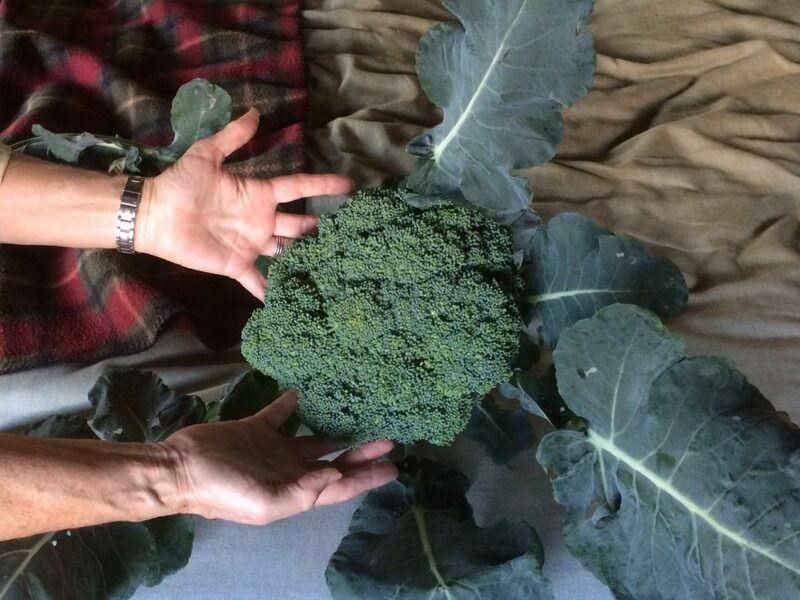 Want to grow awesome food like this with support and camaraderie? 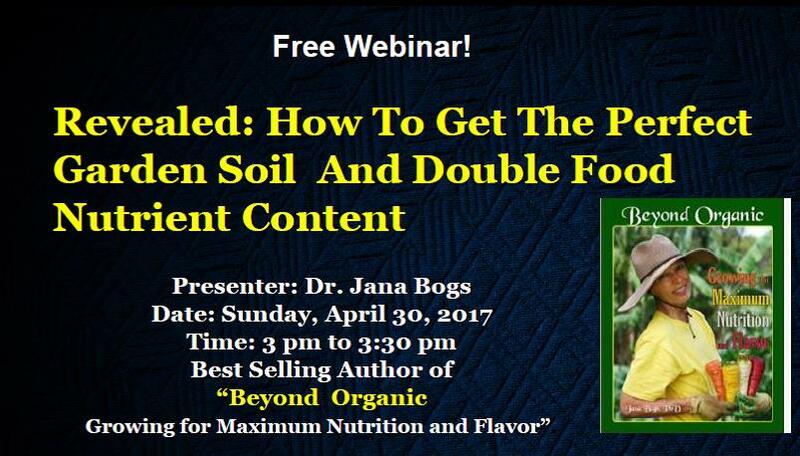 Join us for the Perfect Soil course by clicking here. Stay tuned for more exciting research coming up! Here is some beautiful summer lettuce which resists bolting in the heat. These heads are about a foot across. Large increases in nutrient content over USDA values, especially in the trace elements. Remember, this is only the first season for this recently amended ground, so look for even more impressive values to come. 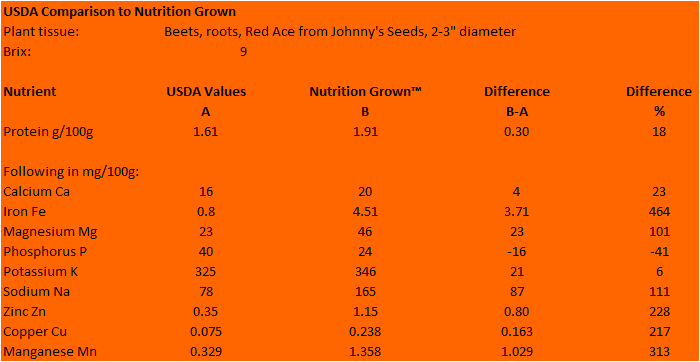 Here are nutrient comparisons of Nutrition Grown™ crops to USDA values in the current official food nutrient database. Note that these are the first results from the newly amended garden, before microbial inoculants and foliar nutrient sprays were used. The crop land used for this project had been in sugarcane for many decades. (Old sugarcane land is typically nutrient depleted.) Since sugar production ceased about 40 years ago, the land has been used for cattle grazing. Balancing soil nutrients takes time, but is accomplished by repeated soil testing and addition of needed nutrients over time. A time frame of three to five years is typically needed to obtain optimal production. 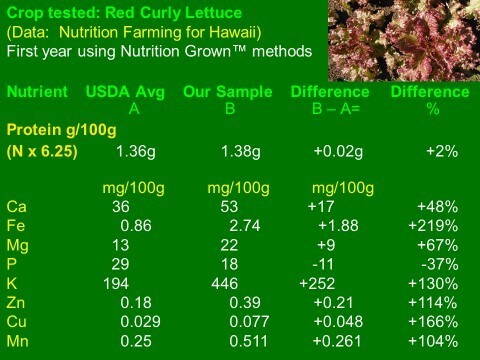 Produce nutrient content and quality (i.e. 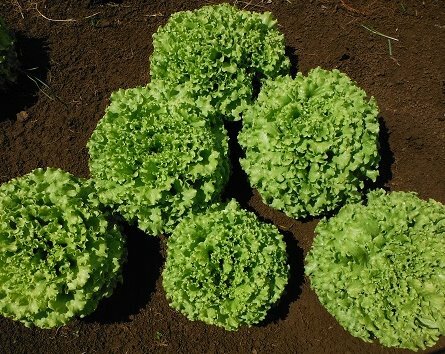 flavor, texture) is expected to improve in parallel with soil quality. In addition, decreases in plant pests and diseases, and increases in crop yields are also expected. 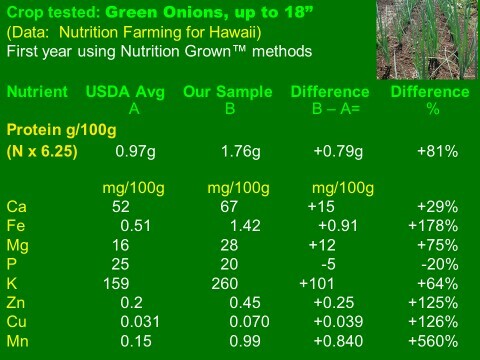 The charts below shows first season crops, grown shortly after most of the recommended nutrients were applied. 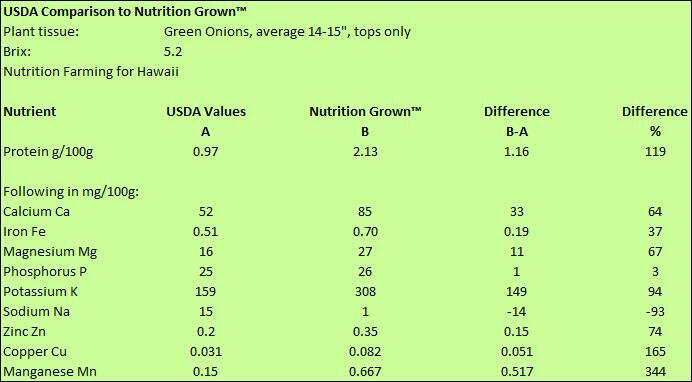 Even though early in the project, the Nutrition Grown™ crops show higher levels of most of the examined nutrients as compared to USDA values. Lower values were seen for phosphorus and sodium, nutrients which are typically well supplied (not deficient) in average diets. 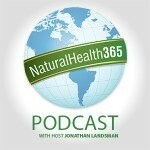 Nutrients such as calcium and zinc are often deficient in humans. These elements were higher in the Nutrition Grown™ crops. The USDA value for copper in kale appears to be an anomaly, as the Recommended Daily Intake (RDI) of copper for adults is only 0.9 mg.